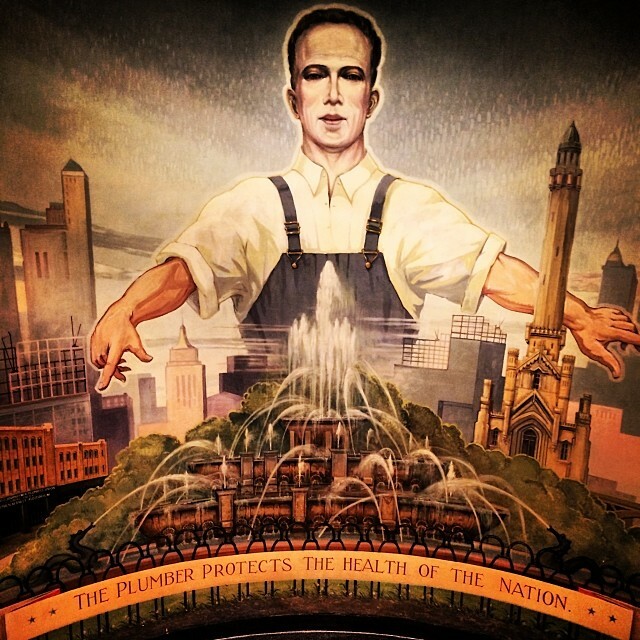 Preserving the Health of Our Nation: The Crucial Role of Plumbers & HVACR Techs | GSK Climate Control, Inc. When was the last time you stopped and thought about the miracle of indoor plumbing, heating, cooling, and refrigeration? We take these things for granted on a daily base. But how could we live without them? Plumbing provides basic sanitation and potable drinking water among other things. Heating and cooling allows us to thrive in climates that would otherwise be uninhabitable. Refrigeration keeps our foods and vital medicines from perishing. What most of you don’t know is that these comforts may be harder to secure in the future due to an ever-present and increasing nation-wide skilled labor shortage. The HVACR & plumbing industry is crucial to human comfort, environmental sustainability and preservation, public health and sanitation, food and medical preservation, as well as numerous medical, industrial, and research processes. This industry is vital to maintaining our nation’s infrastructure, which is already considered out-dated and in need of repair in a large majority of the United States. Despite how advanced society becomes, the need for heating, cooling, refrigeration, and plumbing will always be in high demand and can never be outsourced. According to the Bureau of Labor Statistics, as of July 2016, there are 7.8 million un-employed Americans, while 5.8 million jobs remain unfilled. How could this be? Some argue that vocational education has taken a back-seat to “higher education” through four-year universities that offer degrees and as a result has been increasingly under-funded and cut from high school and college programs. Thousands of vocational education teachers are retiring while their schools are closing shop across the country. Vocational schools are the types of institutions that offer immediate employment after graduation. While many children, parents, and guidance counselors fall for the enchanted message that college is a sure path to a good-paying job, studies show of those who attend college, less than 50% graduate with a degree and only 20% obtain employment in their field of study. There’s been a cultural shift since the generation of the baby-boomers in regards to what people nowadays consider a “good job”. As Thomas Edison once said, “opportunity is missed by most people because it is dressed in overalls and looks like work”. We are a high-tech industry that is constantly evolving with the times. Everyday is a new job which requires physical and mental dexterity, a diverse skill set, and a solid knowledge base. We are one of the few industries where you can walk into a room and as an HVACR & plumbing contractor, literally everyone could be a potential customer. While your friends are accruing an outstanding amount of student debt to pay for their dime-a-dozen degrees, you could be learning as you work while getting payed for it – all while improving the lives of home and business owners who rely on quality techs and installers to provide basic human comfort and sanitation. With federal and state building codes and standards mandating newer, higher efficiency, sustainable systems, materials, and equipment, the HVACR & plumbing industry is developing into a highly technical trade. These jobs are the lifeblood of America’s economy and environment. Recent innovation within the industry has brought consumers cloud-based home automation products (i.e. thermostats, water heaters, boilers, furnaces, humidistats, heat pumps, etc.) that can be controlled through an app on your phone. Since the Flint crisis in Michigan of March this year, water quality has become a huge matter of contention and consumers are looking for more ways to ensure clean, potable water reaches their faucets and fixtures. UV-C Germicidal lights in plumbing and HVAC systems, carbon-infused filters, and electro-statically charged air filters, among other things, are improving both air and water quality in response to the public’s recent surge in interest. Variable Frequency Drives (VFD’s), Electonically-Commutated Motors (ECMs), Variable Refrigerant Flow (VRF) systems, synchronous motors, solar-powered heat pumps, and inverter-driven compressors are just some of the new technologies available in the field. Innovative ‘green’ building materials and newer, more sustainable, and greater efficiency building systems are emerging in the construction industry in an effort to ‘green up’ the market and monopolize on America’s shift to a more climate-conscious nation. New diagnostic methods and wireless, blue-tooth tools that communicate and display measurements on your newest iphones are emerging in the industry marketplace to service such high-tech systems. The nature of hard work has been unjustifiably degraded in society today and as a result America’s essential blue-collar workforce is dwindling due to a widening skills gap, which is real and only getting bigger everyday. As Mike Rowe said, we have “a trillion dollars in student loans. Record high unemployment. And 3 million good jobs that no one seems to want”. Based on the national average, an electrician makes $5,000 more a year than a college graduate with a four-year degree. Skilled trade jobs are waiting to be filled across the country – extremely rewarding jobs with above average pay, great benefits, a constantly changing work environment, employer-compensated training, and career advancement opportunities. A poll taken in 1999 by the British Medical Journal proclaimed that sanitation has been the most substantial medical breakthrough since 1840, ranking higher than antibiotics, vaccines, and anesthesia. In fact, lack of sanitation is one of the world’s greatest source of infection. After the ancient Romans invented plumbing with their aqueducts and public baths, it wasn’t until one hundred years later at the fall of the Roman Empire and the beginning of the Dark Ages that people finally realized the danger in the bacteria formed in the unfiltered, stagnant water, with the incursion of the Black Plague. Plumbing is as Sudhakarn Nair, Chairman of the Indian Plumbing Association said, “a profession with direct relevance to the health and safety of the citizens”. The HVACR & Plumbing industry offers unbounded opportunity for anyone looking to make a career with their intellect and their hands. Our industry allows just about anyone with mechanical aptitude and a willingness to work, the ability to apply their knowledge and training with a problem-solving mentality to improve the lives of countless people. Ask anyone what’s most important to them and they will all hint to the same four concerns – comfort, safety, efficiency, and health. As a tradesmen/woman, you have the knowledge, skill, and faculty to provide immediate solutions and peace of mind in regards to the comfort, safety, efficiency, and health of every home or building owner in the nation.